Check out Tobi's Hoola Metallic Tassel Earrings Updos: totally worth it for a pair of killer earrings. 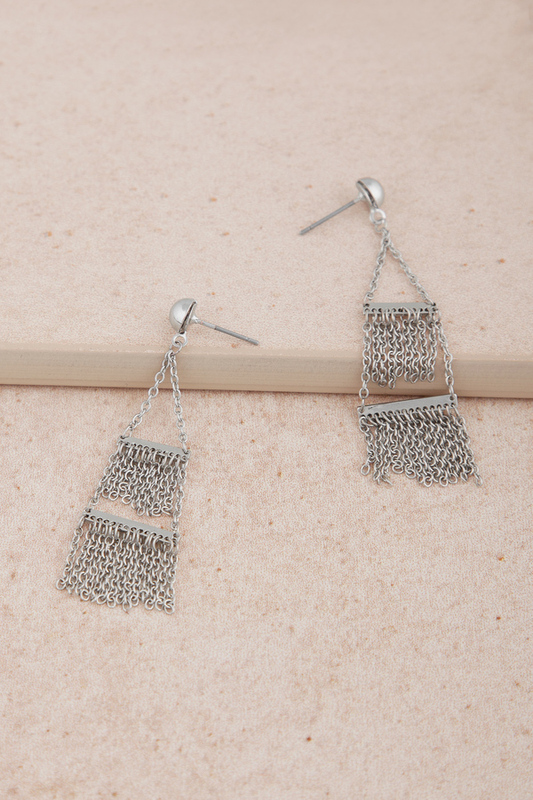 The Silver Hoola Metallic Earrings are dangly earrings worth putting your hair up for. 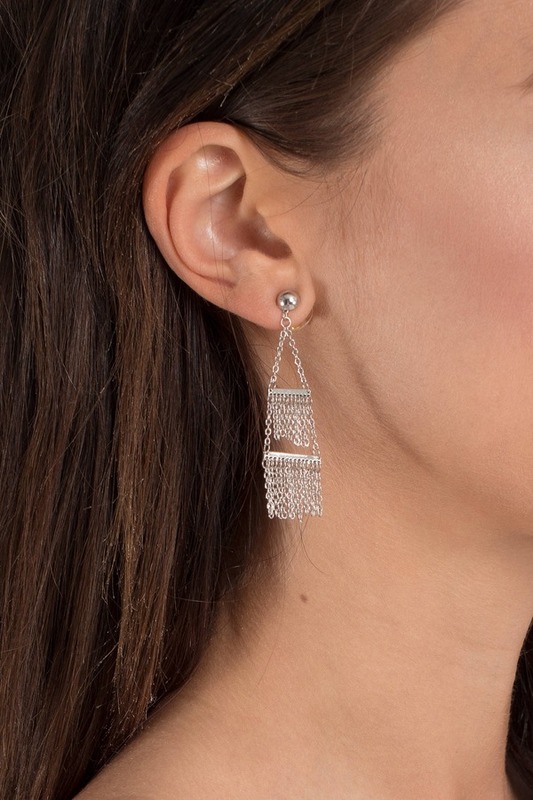 With a push back fastening, the metallic earrings feature two rows of tassel chains suspended from slender bars for a chandelier effect when you're dancing. Updos: totally worth it for a pair of killer earrings. The Silver Hoola Metallic Earrings are dangly earrings worth putting your hair up for. 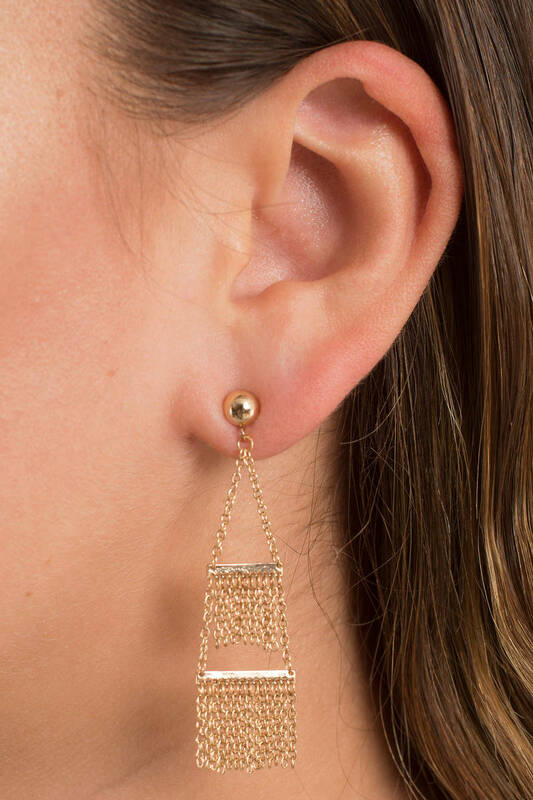 With a push back fastening, the metallic earrings feature two rows of tassel chains suspended from slender bars for a chandelier effect when you're dancing. Updos: totally worth it for a pair of killer earrings. The Gold Hoola Metallic Earrings are dangly earrings worth putting your hair up for. 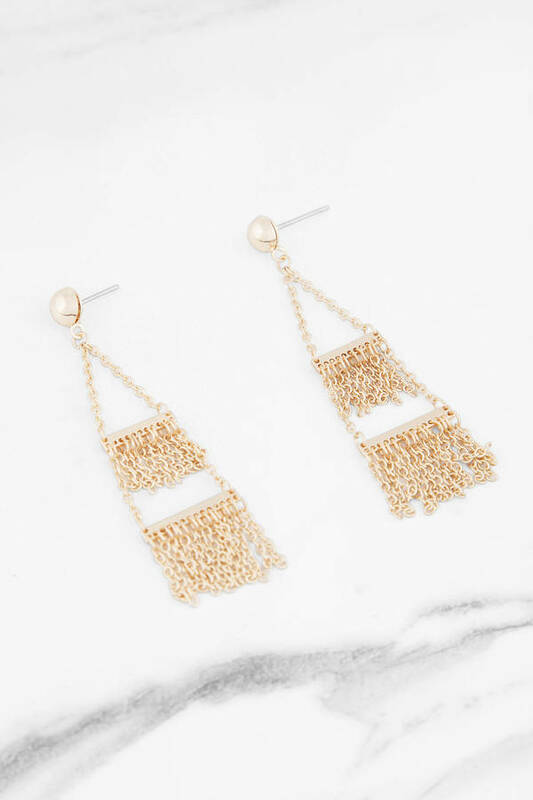 With a push back fastening, the metallic earrings feature two rows of tassel chains suspended from slender bars for a chandelier effect when you're dancing.